Arsenal football club are currently in a bit of a crisis aren’t they. Such notions may seem a little slap-dash and a bit of an over-reaction considering they’ve only lost two matches on the domestic front, but with just seventeen points from eleven matches, incredibly amounts of inconsistency in overall form and from many top players, and horrific issues at the back, this is not the season that so many Gooners would have come to expect. To be completely fair, Arsenal has certainly struggled at the back in terms of fitness this season. 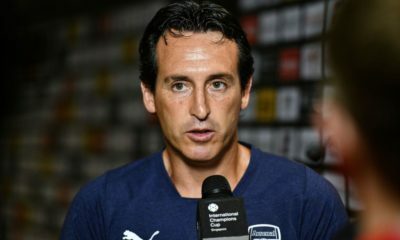 New signing and French international right-back Mathieu Debuchy will be out till December and possibly the new year, while fellow Frenchman Laurent Koscielny will be out for up to another month – 50% of Arsenal’s back four have been crocked and won’t be back for another 30 days at least. It’s by no means at all, but the response from Arsene Wenger has been even more frustrating than once could have even anticipated. In many shocking first-team selections, Arsene Wenger has opted to use left-back Nacho Monreal as a center-back rather than impressive English international Calum Chambers, who did so well in the early days of the season partnering Koscielny in the middle before Per Mertesacker returned to fitness following his successful summer with Germany at the World Cup. Instead, Wenger has deployed Chambers at right-back, where his physical presence, ability in the air but also his lack of pace for the position have either been under-utilized or exposed. It has now gotten to the point where many Gooners have begun to increasingly asked for an inquest as to what has happened to Hector Bellerin, Arsenal’s promising Spanish U-19 international right-back. After an impressive pre-season showing (especially against Benfica) and a baptism of fire against Dortmund at the Westfalenstadion, Bellerin has been firmly rooted to the bench or excluded from the team-sheet all together – Why? Naturally I don’t have the answers as I am not the one stationed on the touchline, but I am just as baffled as many others. That said, let’s take a look at the right-sided whippersnapper and what he does have to offer both at present and in the future. Barcelona born and bred, the 19-year-old Catalan spent his entire youth career at the famed footballing institution, La Masia before coming to north London in the summer of 2011, signing his first full professional deal two summers later. Having only made 13 total first-team appearances (eight for Watford when on loan in 2013 and a total of five for Arsenal), many are still unsure just on where the future of the young Spaniard lies – will he be just another young player to move on from the club after not being given a real chance, or will he let his footballing do the talking and fully break into the first team in a few years time? The situation at the club certainly favors Bellerin as the long term option at right-back for the Gunners. Mathieu Debuchy is already pushing 30 (and we all know how Wenger handles players once they break that past that age), Carl Jenkinson is having a brilliant loan spell at West Ham and it’s entirely possible that Sam Allardyce may look to bring him in on a permanent basis, and Calum Chambers is far more suited to a center-back role where he has already shone this campaign for Arsenal as well as for Roy Hodgson’s England during their Euro 2016 qualifying campaign. 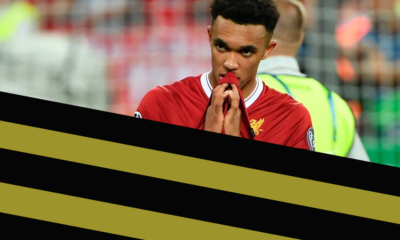 Given the clubs lack of options of true right-backs down the road, it appears that the future of this youngster is entirely in his hands, but also those of Arsene Wenger. As stated before, with a reluctance to turn to him in recent matches during the current injury crisis at the back, is Wenger afraid to expose him to trials and tribulations, or is does Wenger actually just not rate him highly enough? Time will certainly tell on that front, but if Wenger was never going to use him, why did he not loan him out and keep Jenkinson, who has far more first-team experience? There will always be questions it seems, but just what does young Hector have to offer? The Spanish right back has been a regular feature in our Talent Radar Team of the Week series. Bellerin also featured in our list of 100 Best Young Players to Watch in 2016. Hector Bellerin may have yet to have bee given real responsibility by Arsene Wenger yet, but the high-flying right-back has been brilliant at youth level, especially in the NextGen cup. What many don’t know about Bellerin, or at the very least have not discussed much, is that he began his education as a forward while at Barcelona before being turned into a wing-back when coming to London Colney. In this report from last season by talkSPORT’s Lee Roden, Bellerin’s ability to get forward and have a massive impact in the final third is highlighted, and comparisons with Jordi Alba had been drawn. With Bellerin’s jet fighter-like pace (he has already beaten Theo Walcott’s club record for pace), his ability to whip in a brilliant ball from the by-line or from deep, excellent technical ability and a vicious shot from outside of the box, Bellerin has rightfully been compared to Alba. In his appearance in the Emirates Cup this past summer against Benfica, every facet of his game was put on display, even his ability to get back on defense after getting forward. Much like Kieran Gibbs on the left, Bellerin has the ability to pop up in all areas of the pitch either in an attacking role or defending a counter-attack. Despite his tender age, Bellerin slots right into the tactical framework of Arsene Wenger’s Arsenal. 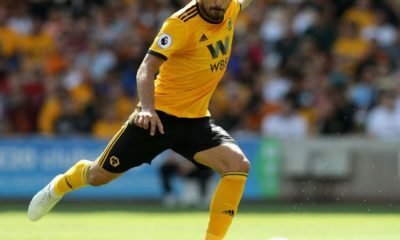 Over recent seasons, Wenger’s preference in wide players have been those that give him two options; the ability to stay out wide and put in a low cross from the end line, or cut into central areas where they can look to get a sniff at goal or slot a ball across the face of goal from closer in. With those types of players in mind, the progression of Kieran Gibbs at left back has never been in danger of stagnating, and you could expect the same for Bellerin should he be the long-term first choice option or the club. If the Spaniard does have a weakness (and yes, he has a few), it’s his inexperience. When you’re a young player, no amount of time at the training ground and sitting on the bench will ever help you progress as a footballer. During the massacre at Dortmund, Bellerin was exposed quite a few times, but it wasn’t his faults as a player that got him roasted on a few occasions. Against a side like Dortmund who love to hit you on the break faster than a Heinz Guderian blitz, a forward thinking right-back that has not been instructed to sit deeper more often will be found wanting. More experienced players will see the danger and adjust accordingly, but when you’re young and still learning your trade, you will still struggle at times to read the game and adapt – a skill that comes through time on and off the pitch. Another weakness, despite the ability to rectify it over time, is his stature. While his height (5’10-5’11) is just about what you’d expect from a modern right-back who is forward thinking, his physical build is lacking. Part of what made Bacary Sagna and currently Mathieu Debuchy so good at their roles is that they could call on their physical strength to overpower smaller wingers off the ball to regain possession. Bellerin may be a speedster, but do you really see him out-muscling someone like Eden Hazard, Angel Di Maria, Raheem Sterling or Dusan Tadic? Thankfully, it does not take much to become bigger physically, and significant time in the weight room to add an additional 10-15 pounds of muscle would easily solve the problem by next season. With Mathieu Debuchy likely to receive the Bacary Sagna treatment as he gets older, Bellerin’s stock is only sure to go up, but he must first find time on the pitch for Wenger to look to turn to him in the long run. The good news is that given his upbringing at La Masia and his continued footballing education at Arsenal, Bellerin is a long term option and investment that needs no help settling in if his number should be called in the future. Even if Carl Jenkinson returns to the club and does not opt for a move to Upton Park, Bellerin is far more suited for Arsenal’s style on the pitch. Even though Bellerin will undoubtedly be slotted into the right-back role, his comparisons to Jordi Alba can also be supported by a similar style and stature to former Arsenal winger Marc Overmars, with more defensive attributes to call upon. As stated before however, Wenger’s reluctance to call upon his services at right-back and currently opt for a player who is far more suited to play center-back does have a few people worried. 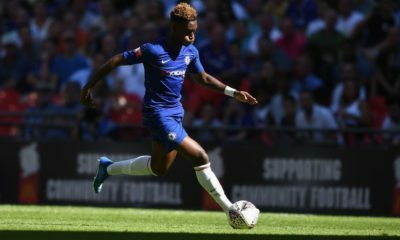 However, we must remember that he is still only 19-years old, and there is plenty of time to loan him for a full season to gain valuable first-team experience before he turns 21. All in all, Bellerin is an excellent right-back prospect with a ton of upside potential who would fit seamlessly into the current system. But his future at the club could largely be played out in one way or another based off who the next manager is after Arsene Wenger either calls time on his reign or is ousted from power (the more unlikely of the two scenarios surely). With time to grow and prove himself, and hopefully a new boss down the line willing to put more faith in the young defender, Bellerin could well end up being Arsenal’s premier right-back for the next decade…all he needs is a chance to shine.